We all know how important it is to take a backup of our data in a timely manner. If you have an iPhone XS (Max), then you should certainly turn on the iCloud sync or maintain an iTunes backup as well. 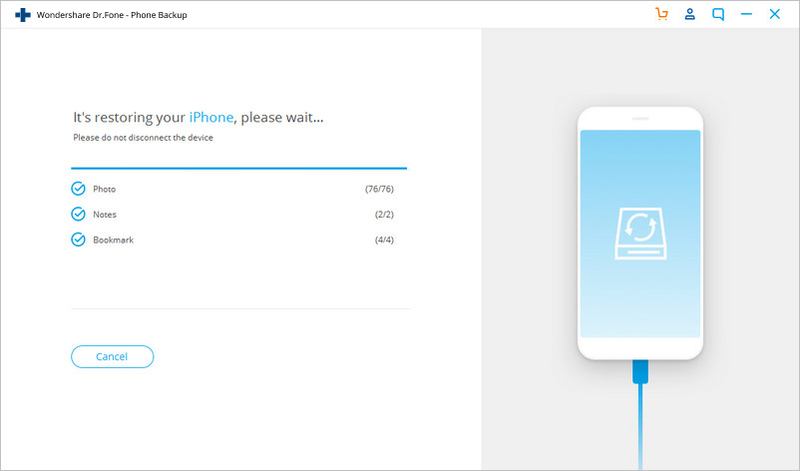 While there are numerous ways to back up an iPhone, users often wish to learn how to restore iPhone XS (Max) from a previous backup. Too many times, while trying to restore their data, users also face unwanted complications. Getting an “iPhone XS (Max) cannot restore backup” or “iPhone XS (Max) restore from backup not compatible” prompt is a common issue. In this guide, we will deal with these issues and also teach you how to restore iPhone XS (Max) in different ways. Part 1: How to restore iPhone XS (Max) from iTunes backup? Part 2: How to restore iPhone XS (Max) from iCloud backup? Part 3: What to do if iPhone XS (Max) cannot restore from backup? Part 4: How to restore iPhone XS (Max) from backups without any issue? One of the easiest ways to restore data to your iPhone XS (Max) is by taking the assistance of iTunes. Besides managing your data, iTunes can also be used to take a backup of your data and restore it afterward. Since it is a freely available solution, you won’t face any trouble using it. The only problem is that in order to restore iTunes backup to iPhone XS (Max), the existing data on your iPhone would be overwritten. Therefore, it is only recommended to restore iPhone XS (Max) from backup via iTunes if you are fine with losing its existing content. Before you start the iPhone XS (Max) restore from iTunes backup, make sure that you have taken the backup. To take a backup of your iOS device, launch iTunes on your system and connect your iPhone to it. 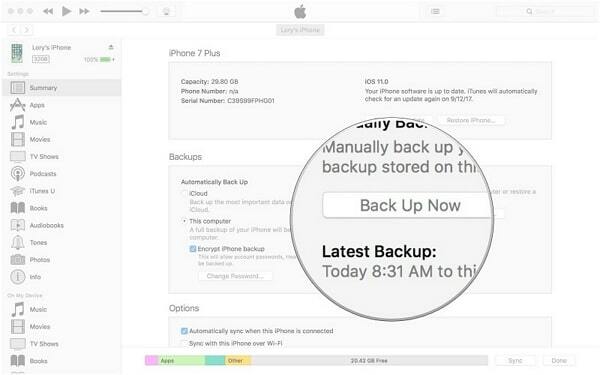 Select your device, go to its Summary tab and click on the “Backup Now” button. Make sure you are taking a backup of your data on “This Computer” instead of iCloud. Once you have the backup ready, you can easily restore iTunes backup to your iPhone XS (Max). Just follow the steps below to restore iPhone XS (Max) from backup. Launch an updated version of iTunes on your Mac or Windows system. Connect your iPhone XS (Max) to it. Once it is detected, select the device and go to its Summary tab. Under the “Backups” tab, you can find an option for “Restore Backup”. Simply click on it. When the following pop-up window would appear, select the backup from the list and click on the “Restore” button. Wait for a while as your phone would be restarted with the extracted data from the selected backup. Besides iTunes, you can also take the assistance of iCloud to backup and restore your data. By default, Apple provides a free space of 5 GB for every user. Therefore, if you have a lot of data to backup, then you might consider buying more space. Performing an iPhone XS (Max) restore from iCloud backup is quite similar to that of iTunes. In this method as well, all the existing data and saved settings on your phone would be lost. This is because we only get a chance to restore iCloud backup while setting up a new device. In case if you are already using your iPhone XS (Max), then you need to factory reset it first. This is a major drawback of this method. First of all, make sure that you have already backed up your data to iCloud. 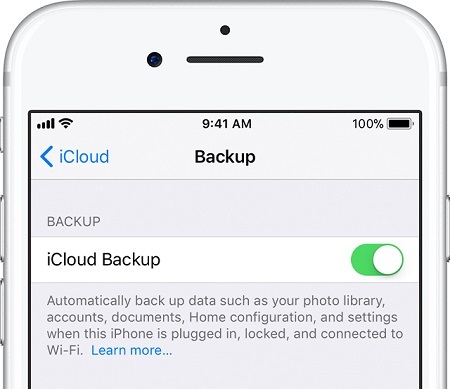 You can go to your device’s iCloud settings and turn on the option for iCloud Backup. 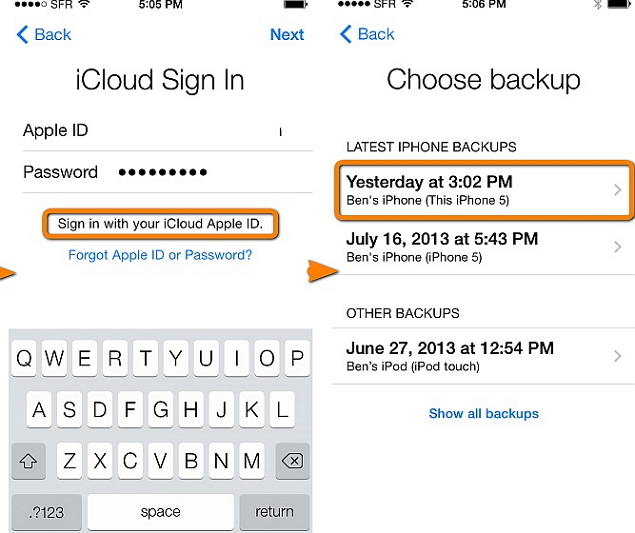 You can restore iCloud backup while setting up a new device. If you are already using your iPhone XS (Max), then you need to reset it first. Go to its Settings > General > Reset and tap on “Erase all content and settings”. Confirm your choice to get rid of all the existing data on your phone. Afterward, you can take the following steps to perform iPhone XS (Max) restore from iCloud backup. Once your phone would be reset, it will be restarted with default settings. While setting up a new device, choose to restore it from an iCloud backup. 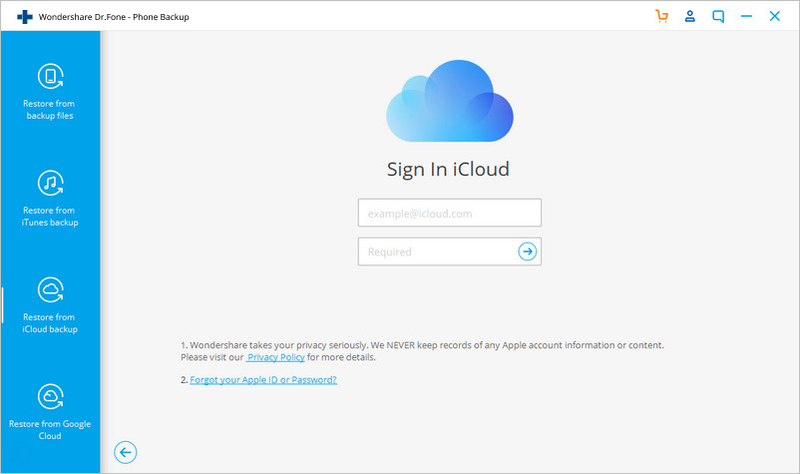 Log-in to your iCloud account using your Apple ID and password. 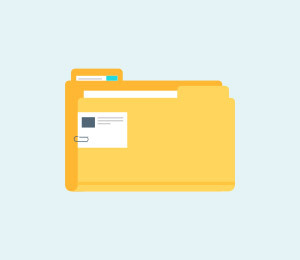 It will display a list of all the backup files linked to the account. Simply select a relevant file. Wait for a while as your phone would load the backup file and restore it to your iPhone XS (Max). A lot of times, users get the iPhone XS (Max) cannot restore backup issue in different ways. Some common errors that they face are “iPhone restore from backup not working”, “iPhone XS (Max) restore from backup not compatible”, “iPhone XS (Max) restore from backup corrupted” and so on. While these errors can occur unexpectedly, they can easily be resolved as well. You can follow these suggestions to resolve different problems while restoring backup to iPhone XS (Max). If you are running an outdated version of iTunes, then you might face some compatibility issues while restoring a backup to your iOS device. To fix an issue like iPhone XS (Max) restore from backup not compatible, simply update iTunes. Go to its Menu (Help/iTunes) and click on “Check for Updates”. Follow simple instructions to update the iTunes version and try restoring the backup. While iPhone XS (Max) is a brand new device, you should make sure that it is updated to the latest iOS version. Simply go to its Settings > General > Software Update to check the latest version of iOS available and update your device. 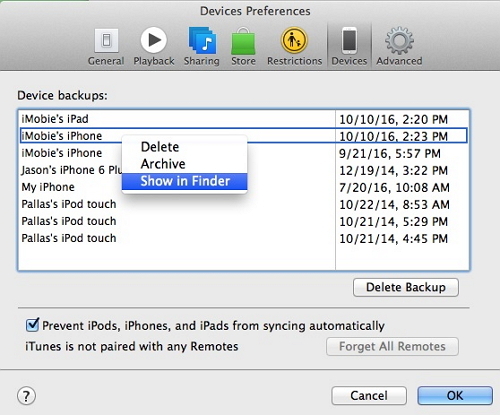 There could also be some clash with the existing backup files related to your iCloud account. An unwanted clash like this can even corrupt your backup. To avoid this, just go to the iCloud settings on your phone and view the existing backup files. From here, you can get rid of any backup file that you no longer need. Besides avoiding any clash, it will also free up more space on your phone. In the same way, you can get rid of existing iTunes backup files as well. Go to iTunes > Preferences > Device Preferences > Devices, select the backup file you wish to get rid of and click on “Delete Backup”. Chances are that there could be an issue with your iOS device’s settings as well. To fix this problem, go to its Settings > General > Reset and Reset All Settings. 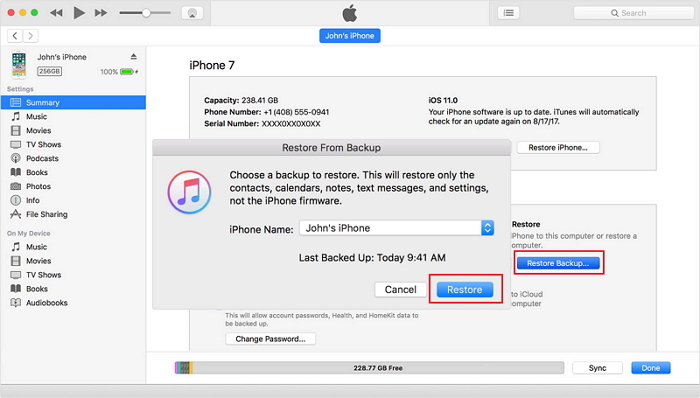 Once your phone would be restarted, you can try to restore the backup to the device. 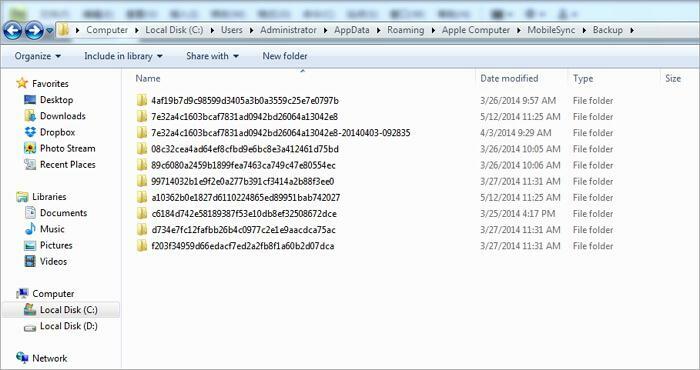 If you have a malware on your system, then your local backup (taken via iTunes) can get corrupt. In this case, you can get the iPhone XS (Max) restore from backup corrupted error. To avoid this, turn on the real-time scanning of your system’s firewall. Also, scan the backup file before restoring it to your iPhone XS (Max). There are several third-party iCloud and iTunes backup extractors that you can use to solve these common issues. We have discussed the working on one of these tools in the next section. When we restore an iCloud or iTunes backup to our iPhone XS (Max), it deletes the existing data. 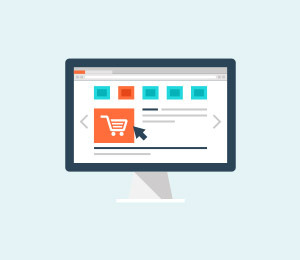 Also, users often face compatibility and other unwanted issues while doing the same. By taking the assistance of dr.fone – Backup & Restore (iOS), you can surpass these problems. The best thing about the tool is that it provides a preview of the data. In this way, we can selectively restore the data without deleting the existing content on the phone. 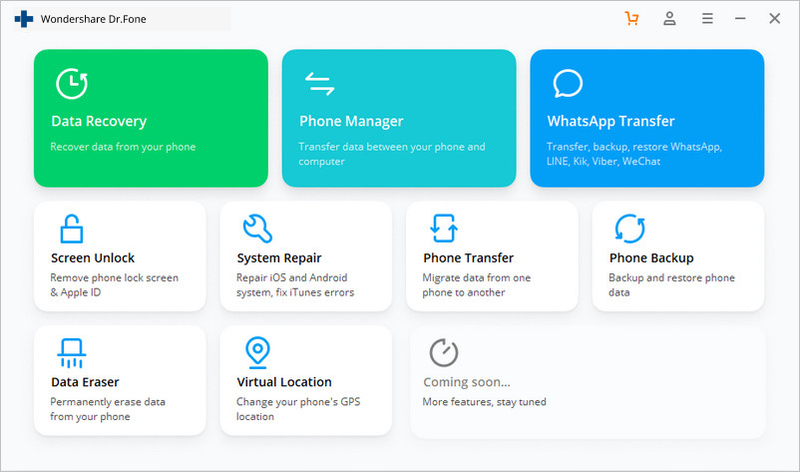 It is a part of the dr.fone toolkit and provides a hassle-free solution to backup and restore your data. 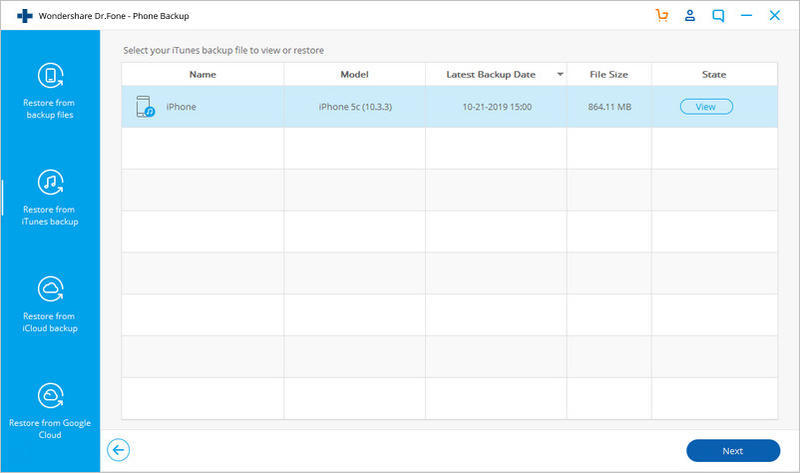 Not just to backup your data to your computer, the tool can also help you restore iCloud and iTunes backup to iPhone XS (Max). 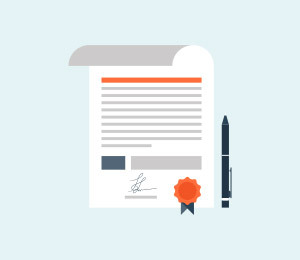 It is compatible with all leading iOS devices, including iPhone XS (Max). The application comes with a free trial and is available for Mac as well as Windows PC. Supports iPhone XS (Max) / iPhone X / 8 (Plus)/ iPhone 7(Plus)/ iPhone6s(Plus), iPhone SE and the latest iOS version fully! Fully compatible with Windows 10 or Mac 10.14/10.13/10.12/10.11. How to Restore iTunes backup to iPhone XS (Max) with dr.fone? If you are getting an error like iPhone XS (Max) cannot restore the backup from iTunes, then you should certainly try dr.fone toolkit. Without getting rid of your phone’s existing content, it will let you selectively restore data from an iTunes backup file. 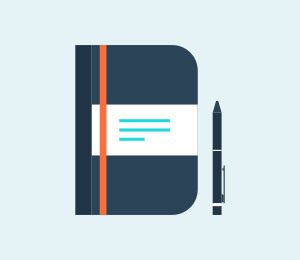 Launch the dr.fone toolkit on your Mac or Windows PC. From all the options provided on the welcome screen, select “Backup & Restore”. 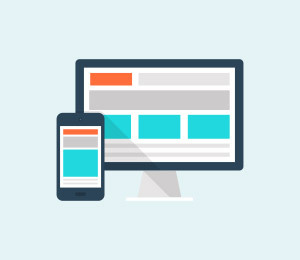 Connect your device to the system and the application will detect it automatically. It will ask you to either take a backup of your device or restore it. Click on the “Restore” button to continue. From the left panel, click on the “Restore from iTunes backup” option. 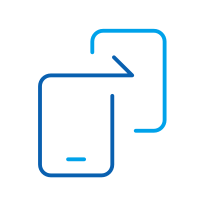 The application will automatically detect the existing backup files saved on your device. It will also display basic details about the saved iTunes backup files as well. Simply select a file of your choice. The application will automatically segregate the file into different categories. 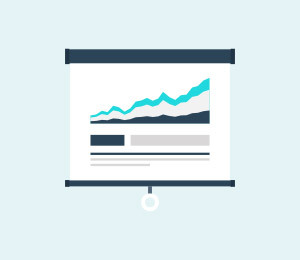 You can simply visit any category and preview your data. Select the content you wish to retrieve and click on the “Restore to Device” button to transfer these files directly to your iPhone XS (Max). 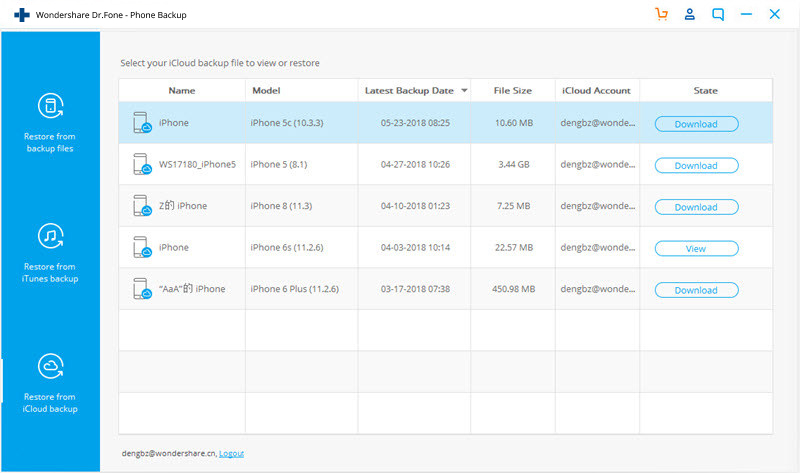 How to Restore an iCloud backup to iPhone XS (Max) using dr.fone? 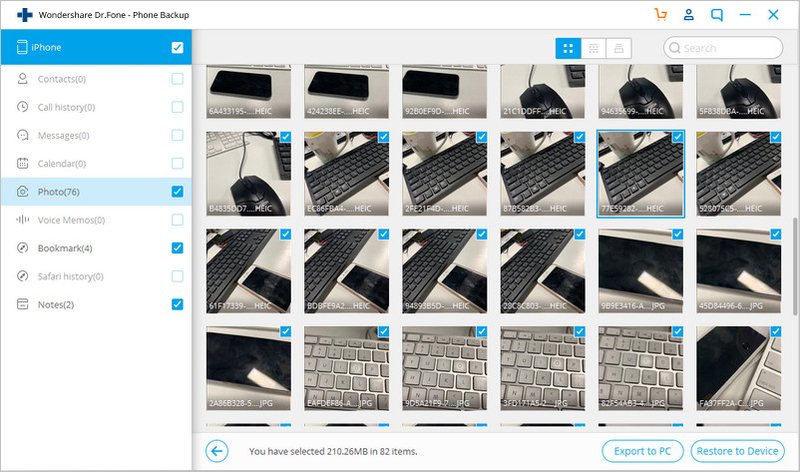 Launch dr.fone toolkit and select the “Backup & Restore” module from its home. Connect your device to the system and choose to “Restore” it. 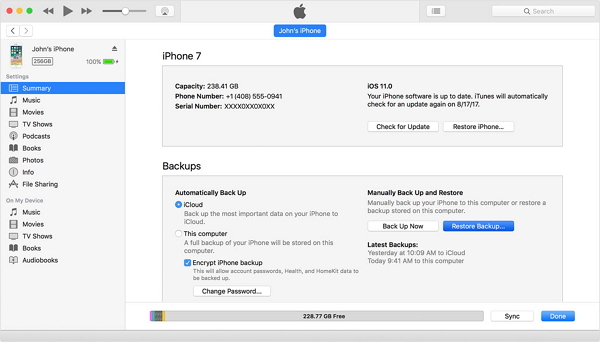 From the left panel, click on the “Restore from iCloud Backup” to get the following screen. Log-in to your iCloud account by using your Apple ID and password. 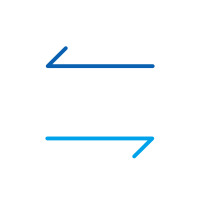 If you have enabled the two-factor verification on your account, then you need to provide the one-time password to verify yourself. The application will automatically detect the related backup files for your account and provide their details. Simply select a relevant backup file. Wait for a while as the application would download the backup file from iCloud’s server. It will display the data in different categories. From here, you can visit any category and preview the retrieved files. Simply select the files you wish to get back and click on the “Restore to Device” button. The application will start transferring your data directly to your iPhone XS (Max). Once the restoring process is completed, you will be notified. That’s it! In the end, you can just remove the iOS device from your system safely. I’m sure that after following this guide, you would be able to restore iPhone XS (Max) from backup (iCloud or iTunes). 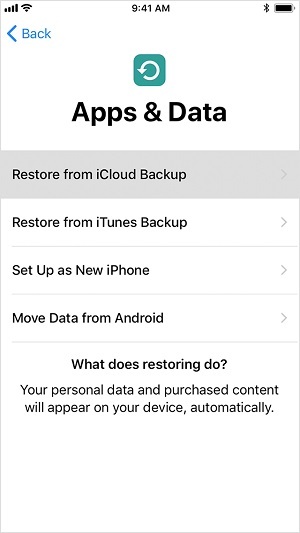 To retain the existing data on your phone and selectively restore the data from a backup file, you can use dr.fone – Backup & Restore (iOS). Also, if you wish to teach your friends how to restore iPhone XS (Max), simply share this guide with them as well. Is your iPhone XS (Max) / iPhone XR screen not responding? Read this extensive guide as we have provided numerous solutions to fix the iPhone XS (Max) / iPhone XR unresponsive issue. iPhone XS (Max) itself may be incompetent at managing contacts, especially when you edit, delete, merge, and export iPhone contacts in large scale. Most veteran iPhone users choose this free contact manager to help them. Find out now. Want to switch from Samsung to iPhone XS (Max) but lack a reliable how-to guide? This article just meets your needs by detailing 3 solutions to transfer everything from samsung to iPhone XS (Max) with extra tips provided. Congratulations on your new iPhone XS (Max). But the next challenge is how to correctly transfer data from old iPhone to iPhone XS (Max). Here we have provided 3 ways to transfer data from old iPhone to iPhone XS (Max) by comparing the pros and cons of each one. iPhone XS (Max) is not perfect without your special ringtones. Learn from this article 4 unique tricks to add ringtones to iPhone XS (Max) as well as to make your own ringtones. They are 100% workable. Explore now! To sync iTunes to new iPhone XS (Max) is not that easy in some situations. What if your iTunes does not work? This article provides 3 ways to sync music from iTunes to iPhone XS (Max) by highlighting important tips for iTunes music syncing.